At one point during the 20th century, Alabama was home to about 190 fire towers sprinkled throughout the state. Now there's about half that number, and only about half of these are actually worth visiting. These towers, which were constructed by the Civil Conservation Corps and the US Forest Service between 1910 and 1980, once played a pivotal role in the protection of Alabama's natural resources and wilderness areas. Today, they're slowly deteriorating. Rust, decay, low budgets, more sophisticated technology, and a collective short-term memory have subsumed these stoic structures to a forgotten past. 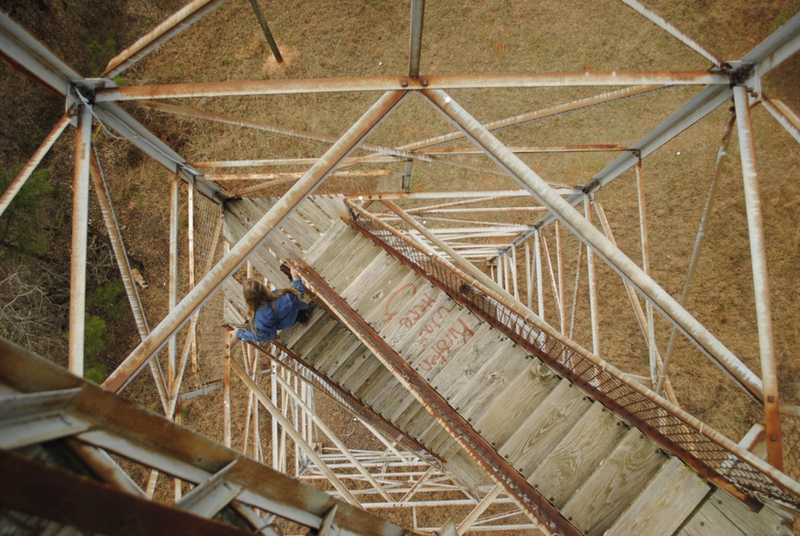 But for weekend warriors and modern day adventurers, fire towers in Alabama still have a role to play, as they offer a unique perspective that many of us rarely get. They offer something new in an old-fashioned way, allowing visitors to observe ordinary surroundings in an unordinary and interesting way. For instance, there's something quite pleasing about watching loblolly pines swaying in the wind from above, or seeing clouds of yellow pollen in springtime drifting like the smoke these towers were originally designed to spot. 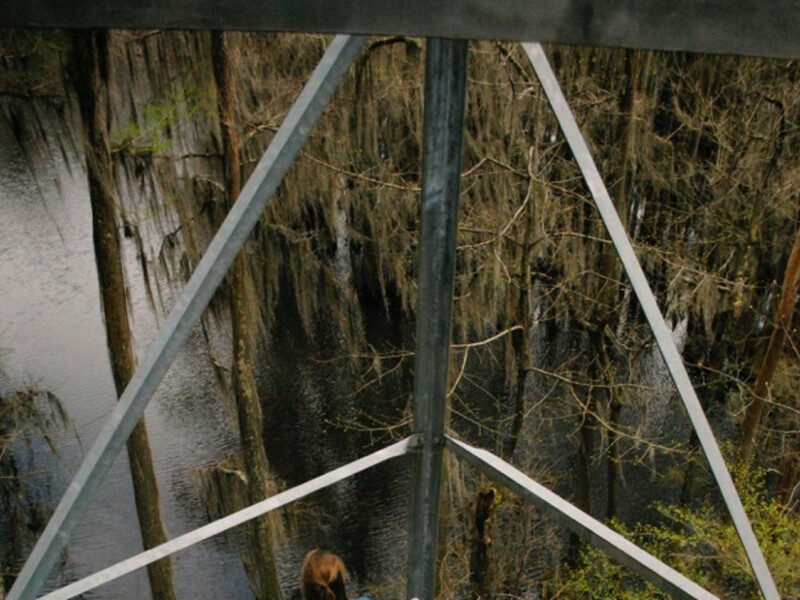 Here, we’ve chosen four of our favorite fire tower lookouts to visit in Alabama. Grab some binoculars (bird watching is a main attraction to these towers), a GPS, and go have some fun. Due to the remote location of some of these towers, we recommend using offline GPS on your smart phone. This allows you to download maps and navigate with GPS signal when you loose cell service. We like maps.me, which is easy, free, and accurate. Be sure to download the app and the Alabama map data before you leave. When you’re ready just punch in the coordinates we’ve provided. Built by the US forest service in 1935, this 7x7 cab overlooks the Talladega National Forest and offers priceless views of the surrounding wilderness ares. Follow the red clay road and you’ll see the sign on your left hand side. The cab of this tower may be locked, so please just climb to the top of the stairs and be respectful. If you only visit one fire tower, make sure it’s this one. Restored in 2005 by Auburn University's Rual Studio , in combination with efforts from Judson College, this is a great example of the potential that Alabama fire towers have. Like the Smith Mountain Lookout near Auburn, the area is more developed with modern and thoughtful architecture—think pit toilets that look like modern Scandinavian homes. The original tower was built by the CCC in the late 1930’s, and originally called Rumley Lookout. The tower was rebuilt, and relocated, without the 7x7 cab to facilitate bird watching. The tower now has the claim of "tallest bird viewing tower in the United States." There are also walking trails in the surrounding area, a sandy “beach” on the Cahaba River, and pristine native Alabama cypress swamps. The park opens at sunrise and closes at sunset. Similar to the Cahaba Lookout Tower, the Perry Mountain Lookout pokes out high above the Talladega National Forest and offers a slightly different (yet equally sweeping) view of the area. Built by the Forest Service in 1937, the cab of this tower may also be locked, so again, please just climb to the top of the stairs and be respectful. 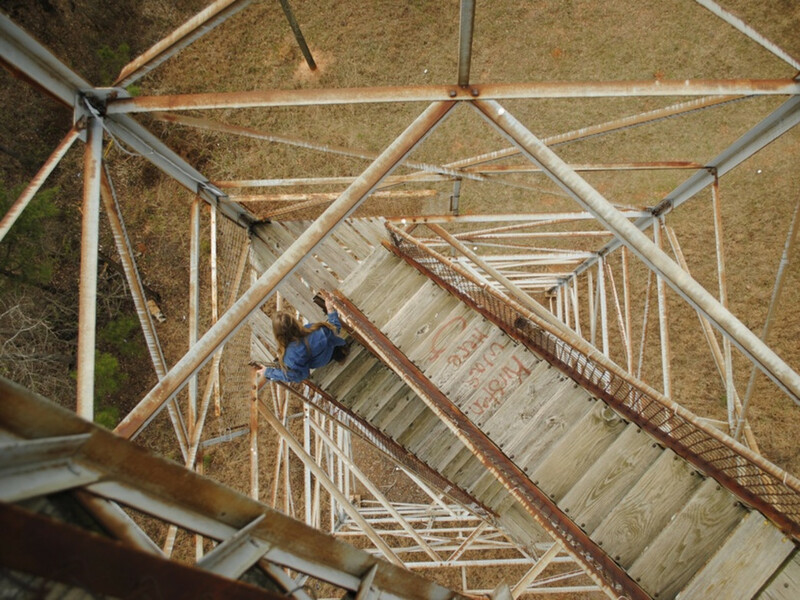 A short ½ mile hike brings you to the foot of quite possibly our favorite fire tower. Smith Mountain overlooks Lake Martin outside of Auburn. 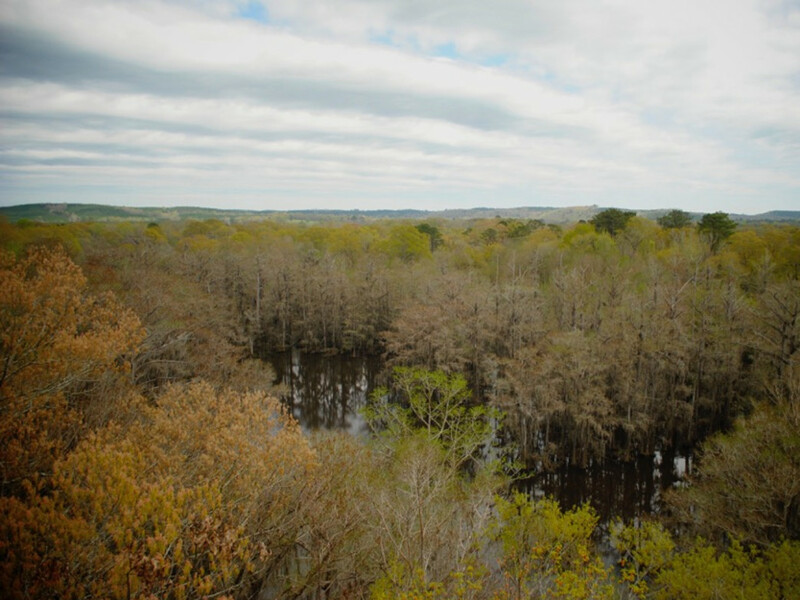 Restoration efforts were a cooperative agreement between Alabama Power Co., the Tallapoosa Forest Conservation Association, and the Alabama Division of Forestry. Standing 780 feet above the lakeshore—80 feet above the ground—this tower offers sweeping views of Lake Martin and the rolling countryside it was built to protect. Cherokee Ridge Alpine Trail Association has built several trails in the area for hiking and lake access. 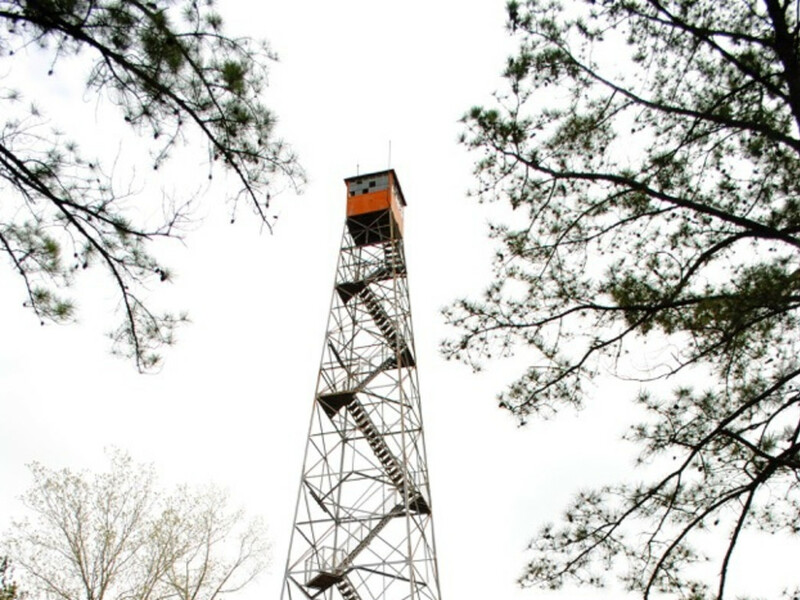 There are plenty of other fire towers worth exploring in Alabama. Get out and find your favorite, but please respect private property laws and follow local rules. What's the Outdoor Industry's Role in Healthcare Reform?